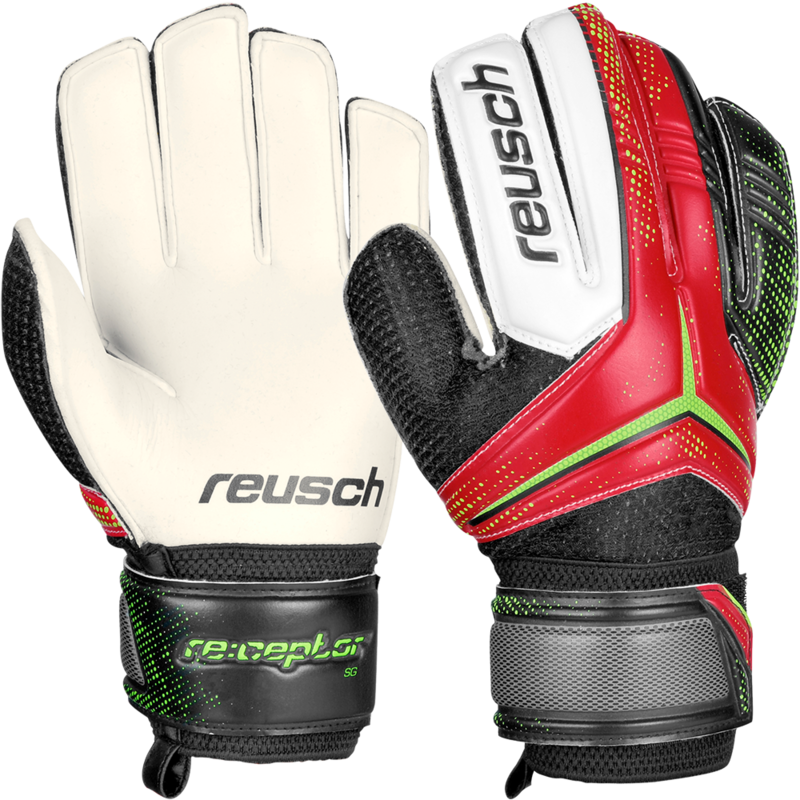 Reusch youth goalkeeper gloves on sale but better quality than the others. 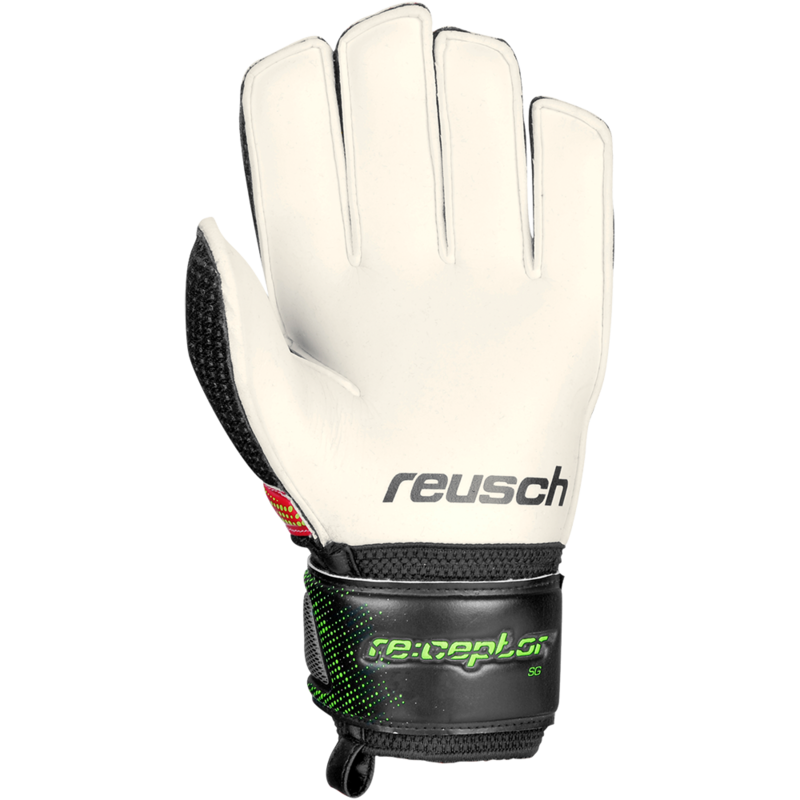 Reusch SG Soft Grip foam is a high quality palm made of a natural and synthetic latex mixture to provide a more consistent grip in a youth goalkeeper glove. Soft PVC backing. Embossed foam design makes the glove more flexible at many breakpoints. 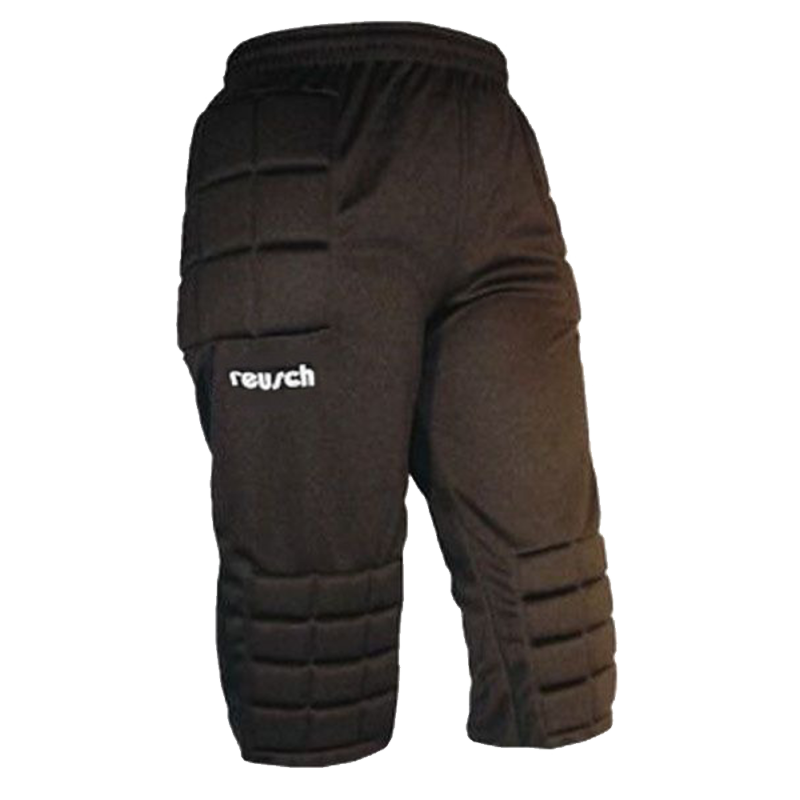 Mini mesh and textile inserts for breathability and comfort. 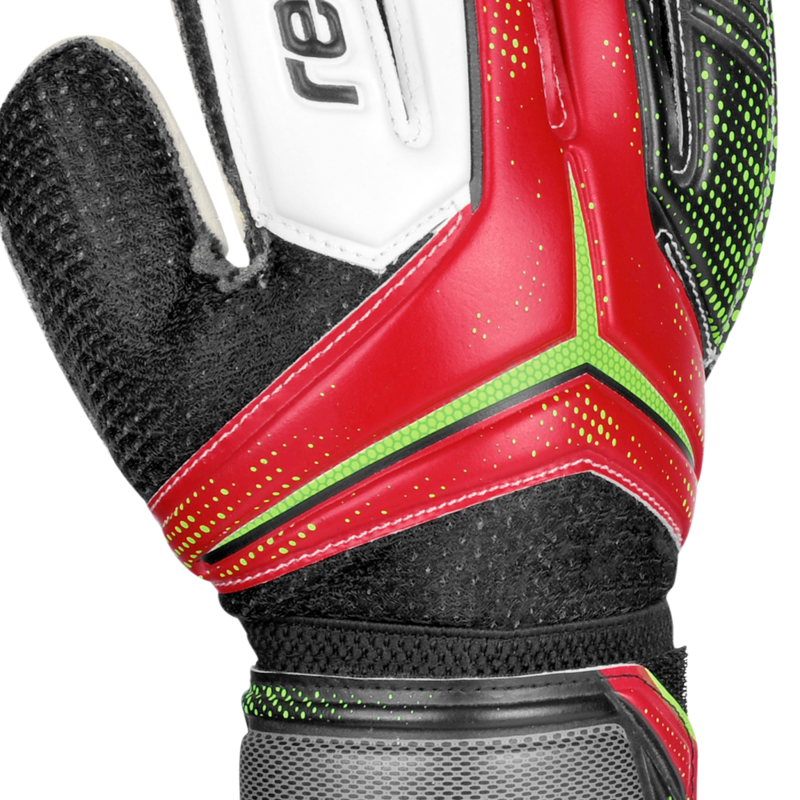 The deep thumb notch on the face of the glove includes an elasticized piece below the foam to help eliminate tear out and to increase the goalkeeper glove durability. Side mesh vents allow this glove to keep cooler during match play. Full strap wrist bandage closure with velcro fasteners for a secure fit. Available in youth sizes 4 5 6 7 . 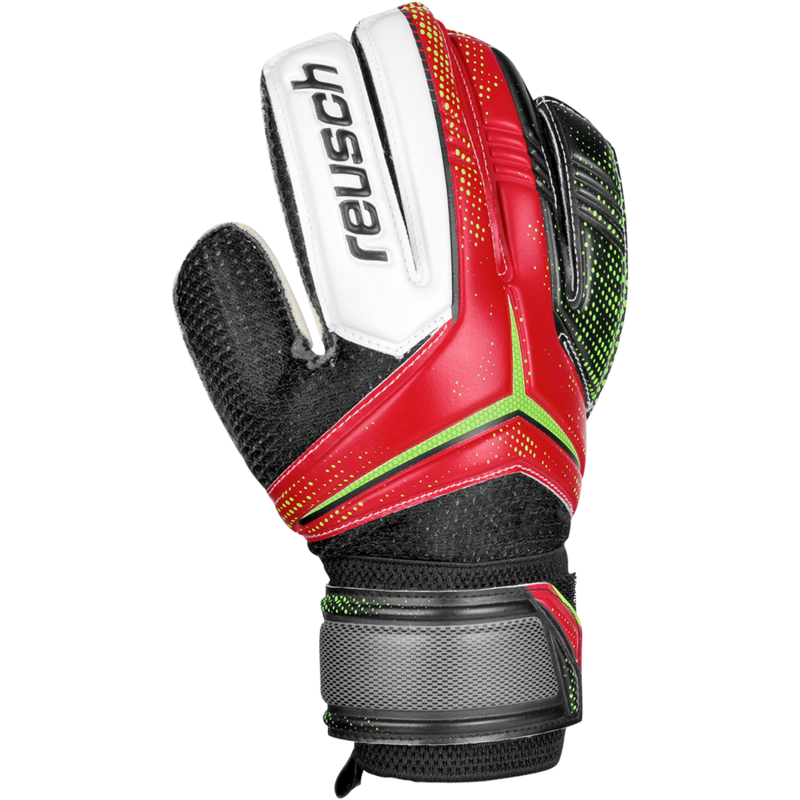 Reusch will be better than other on sale major manufacturers at the big box stores!